Make freezer meals that will help you heal faster postpartum AND produce quality breast milk! Preparing for bringing home baby? Getting ready for breastfeeding? New Mom struggling with milk supply? After having a baby the last thing you will want to do is cook! But you will definitely want to eat and need to eat! Childbirth is one of the most intense physical events most of us will ever experience. If you’ve done it before, you know! During the first few days postpartum you are not only trying to heal, but also adjusting to life with a new baby AND establishing the foundation of good health for your baby by breastfeeding. This can be a very joyous time, but also a very stressful time. Especially if you haven’t prepared. 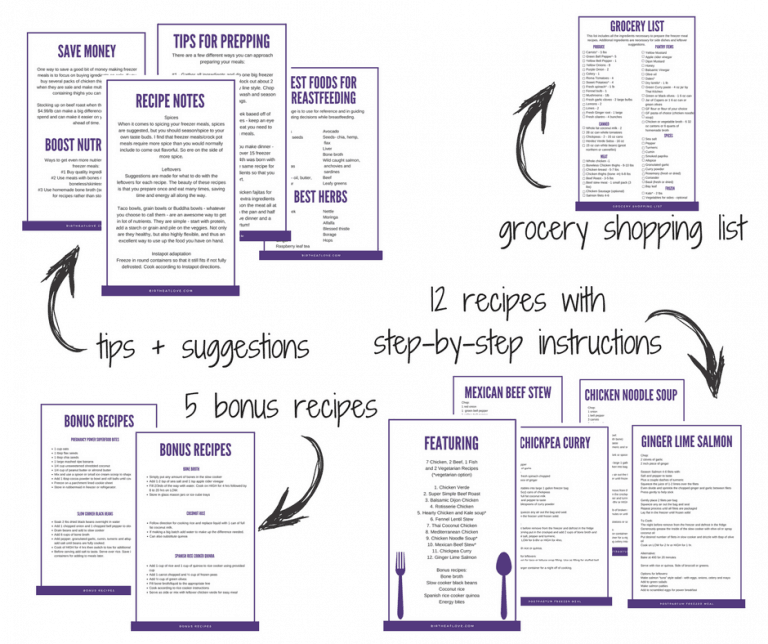 12 freezer meal recipes with prep and leftover suggestions, a grocery shopping list, 5 bonus recipes and 8 pages of tips for making your meals a success. Get the Ebook Healing Freezer Meals for Postpartum and Breastfeeding Now! Make all of these freezer meals and you have 2 weeks worth of meals to help get breastfeeding started RIGHT! What a treasure! The recipes are delicious and so healing! Meals from the freezer are a life-saver during the roller-coaster postpartum days. I love how Lisa includes herbs to nourish you and increase your milk supply while providing a list of herbs to avoid. Thank you Lisa for creating such a convenient tool for moms to use. This ebook is the perfect guide for helping postpartum women heal their bodies and maximize breastfeeding. I love the gut healing ingredients you use and the avoidance of any inflammatory ingredients. This guide is simple to use and the recipes are tasty and family friendly. I highly recommend it to postpartum women and anyone looking for a easy tool for healthy eating. What a wonderful cookbook!! I just got it, even though I'm almost two weeks postpartum, since these recipes will definitely help me be efficient while breastfeeding a new baby! Bravo Lisa!! AMAZING work!!! I love it, it's clean, clear, beautiful, fun to read, personable and I'm excited to try the recipes too!!! :o) Great job!!!! Wow, truly lovely. 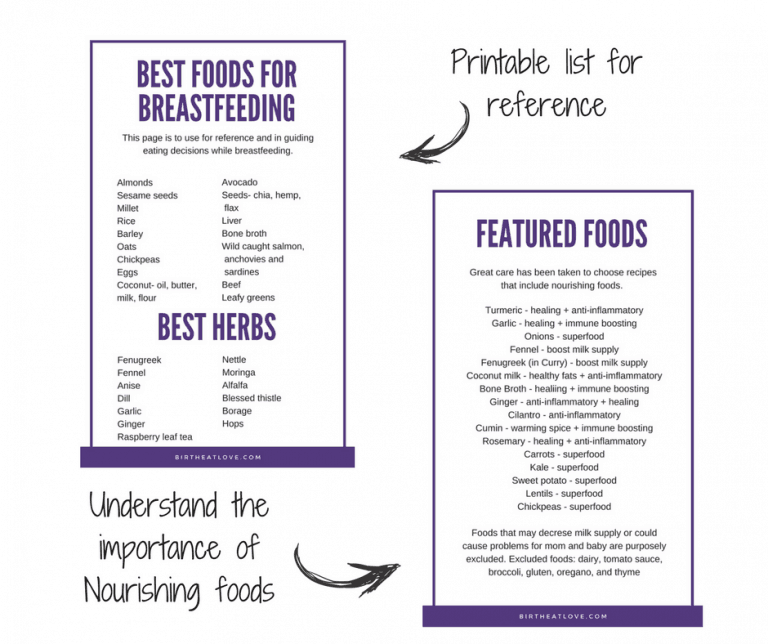 That avoiding certain foods can help make breastfeeding easier? That eating certain foods can help your body to heal faster? That by nourishing your body you can create an abundant milk supply? This ebook is designed to make eating healthy nourishing foods easy so that you can rest, heal and produce quality breast milk. Each recipe is based on anti-inflammatory foods, gut healing foods and milk supply boosting foods. 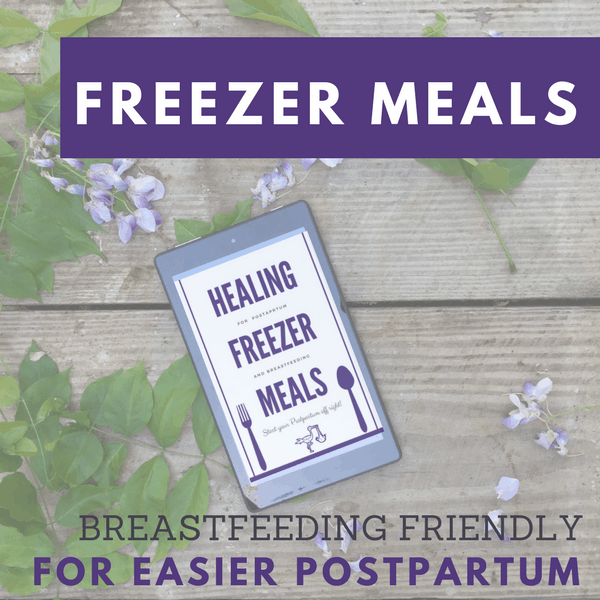 Make your postpartum easier with these Freezer Meals designed specifically for breastfeeding and postpartum healing! prep instructions and shopping list! Once you click you I WANT THIS button, you will be taken to a payment screen. Pay with Debit or Credit. Paypal account not required. PDF download available immediately and delivered to your inbox.